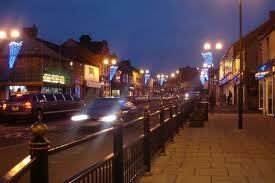 Spennymoor might be known for it’s old collieries and union activism – Tony Blair was a MP here before he became Prime Minister in the landslide Labour victory of 1997 – but it has another, more unusual claim to fame as the spiritual home of children’s favourites the Teletubbies and In the Night Garden – it’s the birthplace of creator Anne Wood, and I don’t think it would stretch the imagination to suggest that her idyllic creations were inspired by her childhood here. What’s another children’s favourite that’s deeply associated with Spennymoor? Did I hear anyone say the famous hot pork rolls of Spitting Pig North East? There’s a perfect simplicity in the hot pork roll that makes it ideal for children – simple flavours they know and love combined in a package you can hold in your hand – and it’s perfect for dripping gravy down your shirt to annoy your Mum. 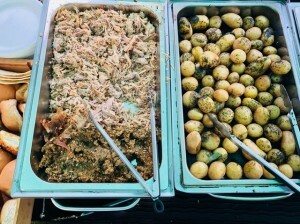 In truth, it’s the ideal party food for people of all ages, but a hot pork roll is particularly a great thing for kids to get to grips with – nothing too complex or usual, perfect tender texture for young teeth and gums and no spicy or unexpected flavourings to surprise the youthful palate. If you’re catering for a mixed age group, you can’t beat hog roast hire Spennymoor – we can provide a fabulous sit down meal with all the trimmings f or the adults while the younger ones with shorter attention spans can choose a roll – no knives and forks required – and get the eating out of the way so the important business of playing and running around causing havoc can commence, well out of the way of the civilised meal the grown-ups are enjoying. And that civilised meal need not be limited to roast pork. We do a full range of top-quality meats at hog roast Spennymoor, not just those rare breed hogs that made our name famous. We can supply and roast to perfection sides of beef, chickens, and if it’s seasonal fare you’re after then talk to us about our Christmas turkeys and spring lambs. And we cater to the vegetarian too – in fact, we offer the perfect catering solution for your entire party, from the amuse bouches right down to the after dinner mints. The Spitting Pig North East name was made on the back of our perfectly done hot roast pork and the crispy crackling we stake our reputation on, but between our chefs there are years and years of experience in catering of all kinds, and we pride ourselves on saying that there isn’t a meal we couldn’t cook. Look around our website for our set party menus, from simple gatherings to wedding feasts for hundreds – the sky’s the limit – but don’t be afraid to ask if you have any special requests because we can cater to all tastes. We’ll do any kind of event too – we’ve done everything from family birthdays for 60 to corporate events and festivals for thousands, and with our experience we’re happy to guarantee a perfect result every time. 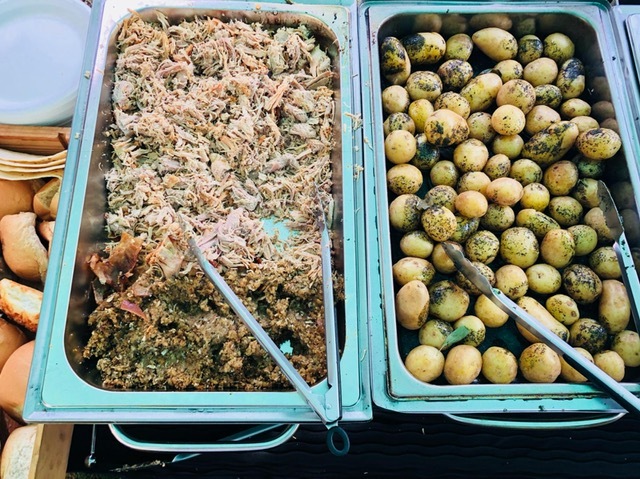 Once you’ve seen our Spitting Pig machines you’ll understand why we’re so confident here at hog roast hire Spennymoor – the latest in hog roasting technology, these roasters really can’t be beat. They’re stainless steel behemoths capable of roasting just about anything to perfection. Once you’ve seen one in action, you’ll be desperate to have a go yourself, and fortunately we also offer a hire service where we deliver the kit and you do the cooking. So if you really want to impress your friends by serving up a feast yourself, we’ll set you up with a hog, a machine and some pointers and come back at the end of the day to clear up and check on how you’ve done. 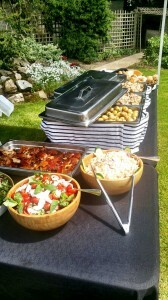 If you want to roast with the best of them, hog roast hire Spennymoor catering is the way to go! You can leave cleaning the machine to us – that’s the real specialised task – and concentrate on cooking up a storm. It might not look easy, but with one of our machines in place you can’t go far wrong, and if anything goes wrong we’re only a phone call away to get you back on track and serving up delicious treats in no time. So whether it’s an anniversary or a sports club annual meet, a school fundraiser or a birthday party, next time you need to feed the 5000, or any other number of people, get on the phone to hog roast Spennymoor!